good news! After some sleepless nights, we have managed to finalize the last PDFs for the English classes and uploaded them onto our server. 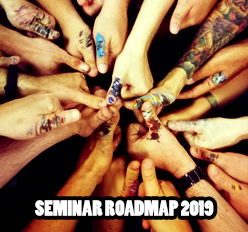 Please have a look at our Seminar Roadmap for 2018 and download the PDFs you need. If you have any questions, feel free to send Peter an e-mail. You can reach out to him via baphomet--at--massivevoodoo--dot--com. There are still enough seats left for the English classes, but you should be quick in your decision, as there are surely many other enthusiastic painters, who are interested in joining the seminars. The German Beginner Class is already fully booked, but we offer to put your name on the waiting list. So, if a painter has to cancel the class, you might still get your chance to join the seminar.